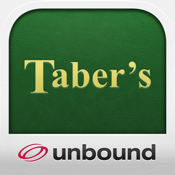 Taber’s Medical Dictionary for Mobile + Web by Unbound Medicine, Inc will give you a free preview of the 22nd Edition of Taber’s Medical Dictionary. The app was updated on March 14, 2013. It requires only 2.9MB of storage space. It’s available in English, French, and Simplified Chinese. This is a great app for medical students and medical professionals who either want to try out the Taber’s Dictionary or already have an existing account. You can upgrade to the full version at any time through the in-app purchase. The app offers you all the medical info you’ll need, and quickly. This is the leading dictionary used by medical professionals. When you upgrade, you get one year of web access to the Taber’s website as well as one year of content updates to the app. You also get audio pronunciations, in-depth definitions, videos, and images. The app is very user-friendly and has an intuitive user interface. This is a full-featured app that will definitely give you your money’s worth if you choose to upgrade. The preview itself will give you a taste of what you will get but the real value is in the full version. The full version of the app gives you over 600 Patient Care Statements, 1200 photos, more than 100 videos, 32,000 audio pronunciations, and more than 65,000 terms. You also get medical abbreviations, immunization schedules, nutrition and alternative therapy, nursing diagnoses, symbols and units of measurement, and more. Of course, you also have access to the full web-based dictionary with many more features when you sign in to the Taber’s website. The universal Index Search helps you find topics quickly. There’s also a bookmarking function. You’ll pay $39.99 to upgrade to the full version. This is a yearly fee if you want to keep your membership. Taber’s Medical Dictionary for Mobile + Web is currently running on Version 1.12. The update added the ability to preview before purchasing, optimized it for iPhone 5 and iPod touch 5th generation, added iOS 6 support, added more than 100 instructional videos, and updated it to the 22nd Edition. The current version has 18 customer ratings with an average of four out of five stars. Feedback comments are all positive. I really think that this is a great app to try out, particularly since you can preview it before you buy it. The illustrations are especially impressive. I like that there is a huge selection of definitions and the pronunciations are really handy. For: iPhone, iPod touch, iPad with iOS 4.3 or later. The app is optimized for iPhone 5.